This delicate and highly detailed pencil charm pendant is a fine example of Julian Stephens Goldsmith bespoke, commission work. 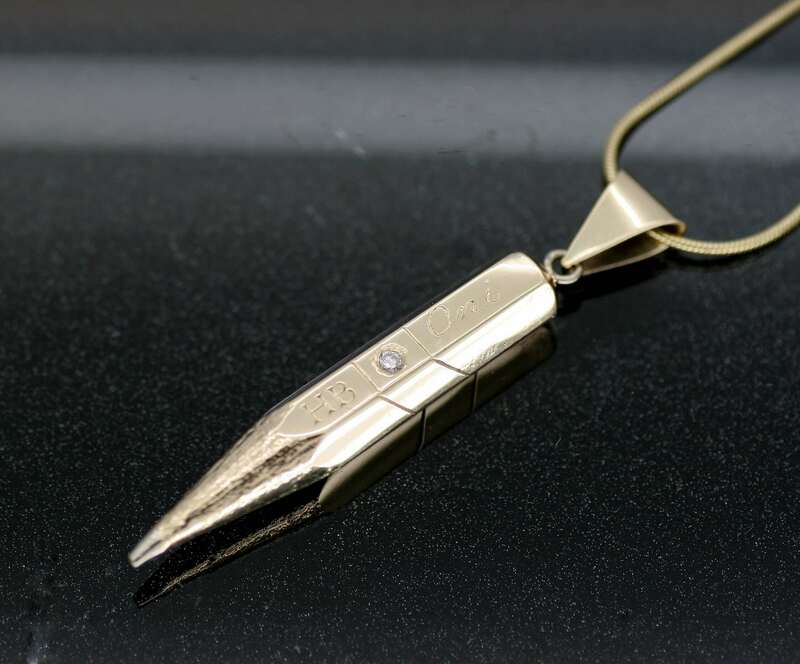 This unique and one-of-a-kind pencil charm is handmade from solid 9ct Gold, hand-engraved detailing and texture is added to create a fun, naturalistic feel to this lovely design. This gorgeous three-dimensional design is finished with an 18ct Gold lead to create a subtle and lovely mix of materials. Strung on 9ct Gold Snake chain this is a quirky design created by Julian from our on-site workshop in Brighton.